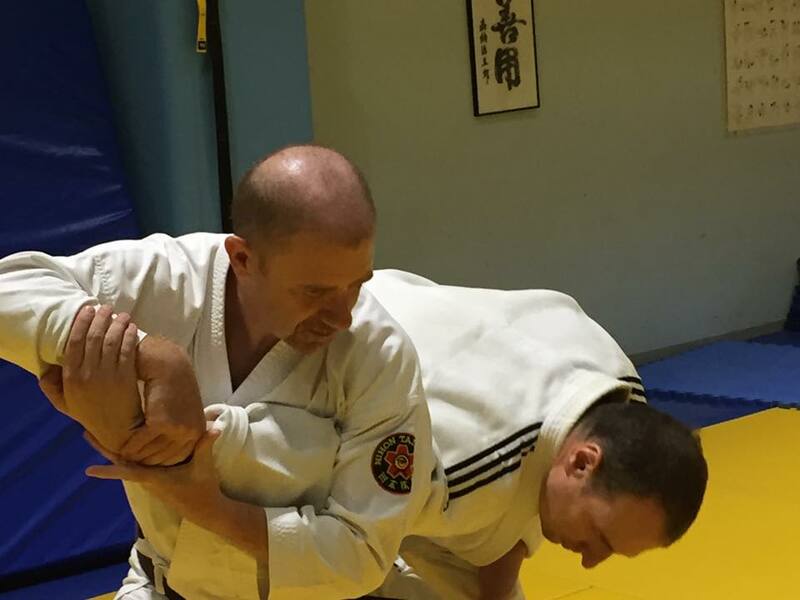 This article was written by Hugh Stanley, who was the first in the dojo to get his Shodan in Nihon Jujutsu and Nihon Taijutsu after 6+ years of hard work at the dojo and at home. I am not a brave man and pain hurts me. That is one of the reasons why I started formal martial arts late in life. And it did hurt, just not in the way I expected. The physical pain was occasional and minor, resulting mostly from my inability to relax sufficiently to absorb and so negate whatever was inflicted on me during training. What hurt most was my own ineptitude. This was unexpected. I had a lifetime of involvement in contact sports – rugby, Gaelic football – and intensive activities such as squash, climbing and triathlons. Yet I found myself physically unprepared for martial arts. It wasn’t a lack of strength, stamina or flexibility (although I am sadly lacking in the latter). It was because the way I had used my body in all those other activities didn’t seem to work in the dojo. And the harder I tried the less I achieved. Only after months of stubborn perseverance did I realise that in order to go forward I had to go backwards. I had to unlearn the way I did things and relearn to use my body, but in a completely different way. Movements previously done automatically, without thought, now became studies in consciousness. 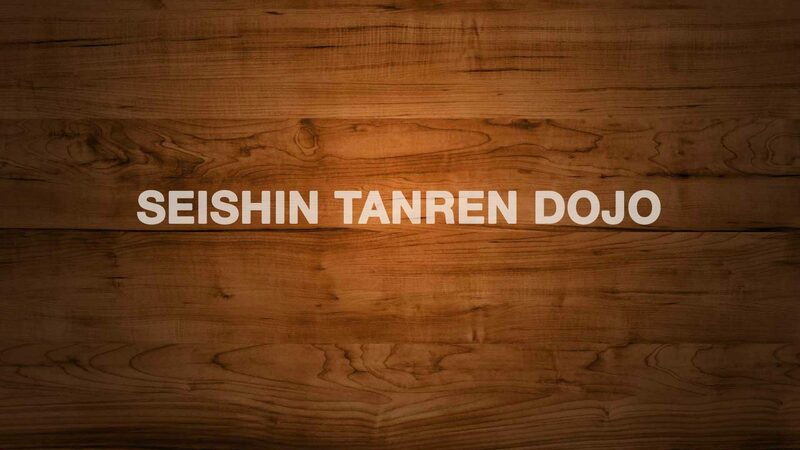 This activity was not limited to the dojo. What muscles do I use to open a door? Do I use muscles at all or just my weight? When I go upstairs, do I use leg muscles or my abdominal muscles? Both? What part of my foot should bear my weight when standing? Walking? Turning? When I turn my head am I pulling from the front or back? Does my arm begin at my shoulder or my sternum, and does that depend on what I am doing? When I turn left, do I lead from my head, shoulders, pelvis or foot? Do I push forward or back or not push at all, merely lean? Do I move differently if I am raising a glass or scratching my nose? And so on. It wasn’t a lack of strength, stamina or flexibility (although I am sadly lacking in the latter). It was because the way I had used my body in all those other activities didn’t seem to work in the dojo. I began experimenting everywhere – on the train, walking down the street, at work, at home, even lying in bed at night. If I was getting funny looks from strangers I was too inwardly focused to notice. It became clear that there were multiple ways to produce even the simplest movement, and complex, whole body movements became both triumphs of considered co-ordination and vexations of the spirit as I became increasingly aware of the inadequacies of what I was doing. I also became increasingly aware that this fundamentally was a solo journey. Although excellent guidance could be and was provided by those more accomplished, polished and talented than me, the truth is no-one knows your own body like yourself. No-one can explore it to the extent that you yourself can. If you don’t understand and feel your own physicality, no-one else can either. They can experience the results and tell you if it feels right or wrong, but they cannot experience, except in the broadest of strokes, what is going on inside your mind and body. It is essentially, fundamentally, a journey of self-discovery. That is what the road to Shodan was for me. A journey of self -discovery, an examination and adjustment of my previous physical and mental norms. The forms and techniques for Shodan – let’s face it – are something that can be learned by almost anybody. But in the truest sense, it isn’t what is done, it is how, and why, it is done. By getting to Shodan I have proven to myself that I could deconstruct myself sufficiently to take this first step. The question now is can I reconstruct myself sufficiently to walk on?